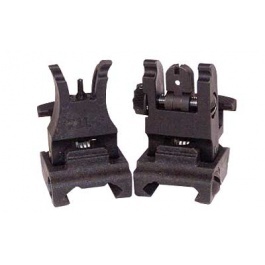 Front and Rear sight set both made from durable, metal-reinforced polymer and are a good option when seeking a quality sight. The apertures on the rear sight are real steel and not subject to distortion like thin plastic types. Both are .600" when in the folded position, from the top of the receiver. 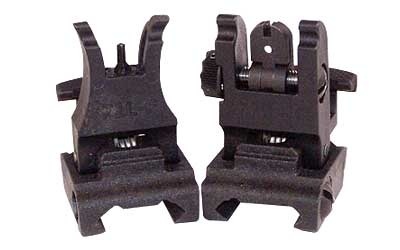 Both #71 Front and Rear Sights are designed to allow attachment to all universal dovetail rails.